A Celebration of Solar Energy! On the evening of June 20, leaders in Washington, D.C. from across government, business, and nonprofit organizations will gather for an upscale cocktail hour, with small plates and hors d'oeuvres, and a rooftop reception. 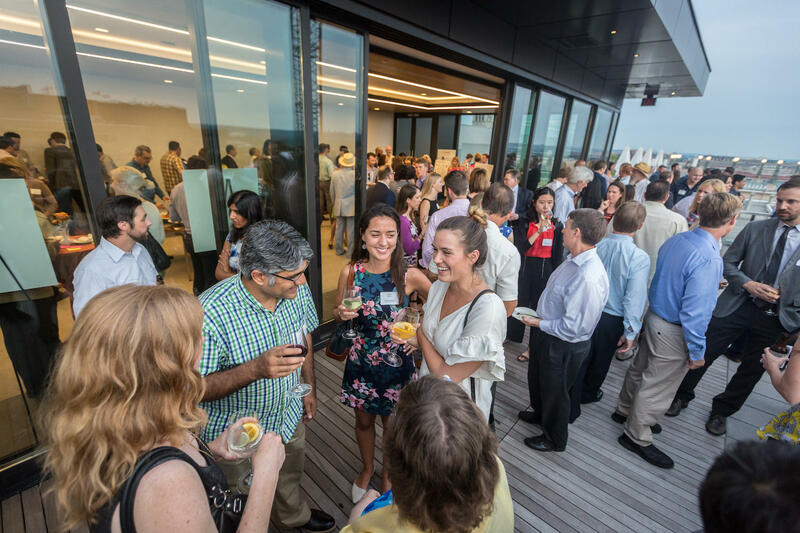 This year's Solstice guests will be treated to a variety of hors d’oeuvres, complimentary drinks, twilight views of the D.C. skyline, and the opportunity to meet and network with leaders in solar, clean energy, and related fields. All tickets, sponsorships, and donations support The Solar Foundation, whose work would not be possible without your generous contributions. Interested in sponsoring Summer Solstice 2019? Contact phaddix@solarfound.org. Thank you to our Host Venue, Brookfield Properties for generously supporting our 9th Annual Summer Solstice.